The 24-hour closure of the number one transit system in the nation sent Washington into panic, and underscored the importance of investing in transportation infrastructure. Yes, you read that right. 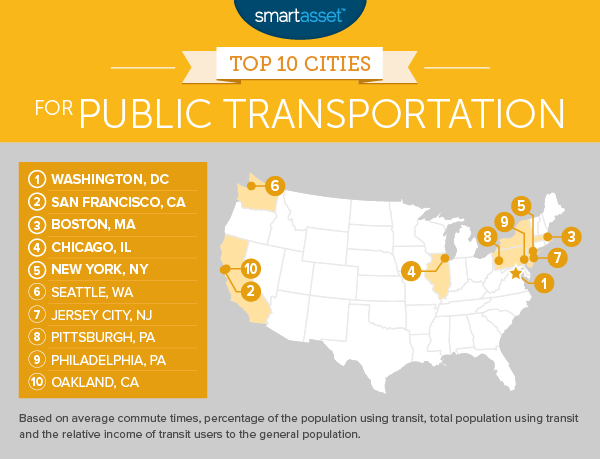 In February, the financial analytics firm SmartAsset dove into Census Bureau data to find the nation’s best transit systems. Washington, D.C.’s Metro came out on top. Based on their criteria, D.C.’s commuters have it better than most. On Tuesday, transit officials announced an unprecedented 24-hour closure of Washington’s Metro system, for an emergency safety check of 600 power cables, following a cable fire that caused delays earlier in the week. On Wednesday morning, hundreds of thousands of awoke this find the unthinkable had come true. Metro trains were out of service for the day. Anyone who ever wondered what Washington would look like if Metro didn’t exist got a glimpse of that reality today. Those who could telecommute to work did so. The rest scrambled to figure out how they were going to get to work, school, or other destinations. Some got behind the wheel and braved traffic. Some figured out bus routes, counted transfers, and added hours to their commutes. Some carpooled with co-workers and neighbors. Some took advantage of “shared” riding expansion authorized by the D.C. Taxicab Commission. Those who could afford it shelled out for Uber’s surge prices, capped at 3.9 times the normal rate..
Everyone has been affected, but low-wage workers have been hit particularly hard. Many can’t afford the extra cost of multiple bus transfers, let alone a cab, but most can’t get the day off. They need the money, so they have to figure out how get to work, Metro or no Metro. That doesn’t bother Connolly’s conservative colleagues. Conservatives have a long-standing antipathy towards public transit, going as far back as when Ronald Reagan wanted to slash public transit funding by 40 percent. Republican governors like Wisconsin’s Scott Walker and Ohio’s John Kasich turned down billions in federal stimulus dollars for high-speed rail that would have connected major cities and created thousands of jobs in both states. In 2012, the House Republican leadership tried to replace transit funding with a one-time infusion from the general fund. Last year, the Heritage Foundation recommended eliminating the Federal Transit Administration, along with all federal funding for public transit. Some things never change. The latest House Republican budget eliminates Amtrak operating funding, and cuts mass transit funds, while including even more tax incentives for oil and gas exploration. The Congressional Progressive Caucus’s “Better Off Budget” proposes to make Americans better off by calling for a $745 billion increase in transportation funding, including mass transit. Which is a budget for America’s future? From 2004 to 2014, Americans drove less and less each year. Americans both young and old are driving less, and even getting rid of their cars altogether. Millennials have been driving less, and not bothering to get or renew driver’s licenses, for years now. Instead, they prefer to live in areas with jobs, goods and services within walking distance, or with accessible, reliable public transit. Even using ride-sharing or car-sharing services seems like a better deal than shelling out for car payments, gas, maintenance, parking and countless other fees. Now the trend is spreading to middle-aged Americans. Four years ago, the Washington Metro Area Transit Authority modeled what would happen to D.C. if the Metro disappeared, and found we’d need $6 billion in additional roads and highways, just to keep up with current traffic. Today, Washington is learning just what public transit is worth. Let’s hope Congress is paying attention.